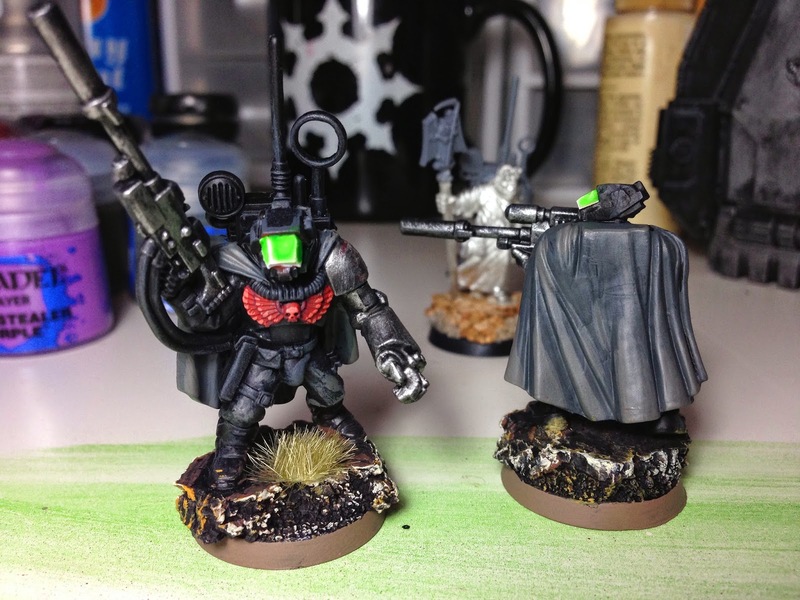 I started working on a 6 man unit of Sniper Scouts. I gave the Sarge a Power Fist... just because. He's a grizzled veteran Scout leader. He should have something better than a normal gun. I'm pretty happy with how the cloaks turned out. I wasn't sure what to use given the black armor, but I think this worked out all right. I'll have more pictures soon. My plan is to know out the 6 scouts as the first unit of the army. Then I'll work on the Ordo Xenos Inquisitor conversion. I'm not going for anything fancy... just a basic dude with a Plasma Pistol and a Force Staff (which will be a Force Sword in game).